One of the calves at Bright Cow farm. Photo: Lyn Ong. Several pairs of curious eyes followed us as we slowly trickled into the barn. Mooing among themselves, they continued munching on their feed while eyeing us warily. These were Jersey cows in Bukit Rotan, Kuala Selangor. Why here? Because two entrepreneurs decided to import the cows from Australia when starting their dairy business, Bright Cow. Jersey cows in the barn. Photo: Lyn Ong. Indeed, Malaysia is now one of the biggest consumers of milk in Southeast Asia, with an increase in dairy consumption of two to three per cent each year. This fits with the global pattern of rising demand for dairy in developing countries with an urbanizing population. Bright Cow prides itself on their brand of unpasteurized and non-homogenized milk. Produced solely from Jersey cows, they say that the milk contains 20 percent more protein and 30 percent more milk fat, imparting a rich flavour to it. 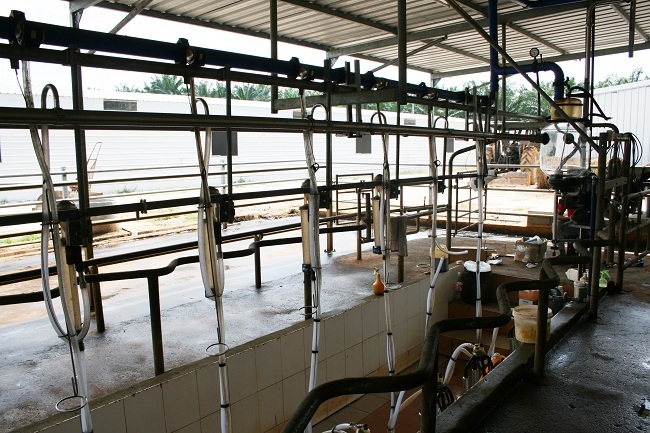 Bright Cow farm in Bukit Rotan, Kuala Selangor. Photo: Lyn Ong. 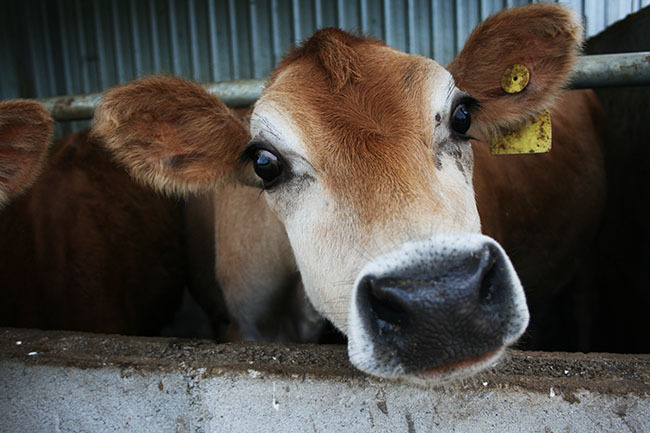 The company became fully operational in 2011 when the first batch of 100 Jersey cows arrived from Australia. “We chose a smaller cow because its easier to manage and Jersey cows are known to adapt a lot better to our climate than the other breeds, ” says Bala. 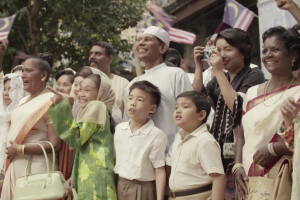 Apparently, Bukit Rotan was chosen due to its proximity to the rice belt, making it easier to source the feed for the cows. When I pay a visit to their farm, I find myself in a sprawling area situated in a oil palm plantation near the fishing village of Pasir Penampang. Accessible only by a dirt road that cuts through the estate, it was quiet in the afternoon. Balakrishnan Nair, director of Bright Cow. Photo: Lyn Ong. Currently Bright Cow has about 170 cows, milked twice daily. The milk will be bottled directly on site and sent straight to the retail outlets later on. 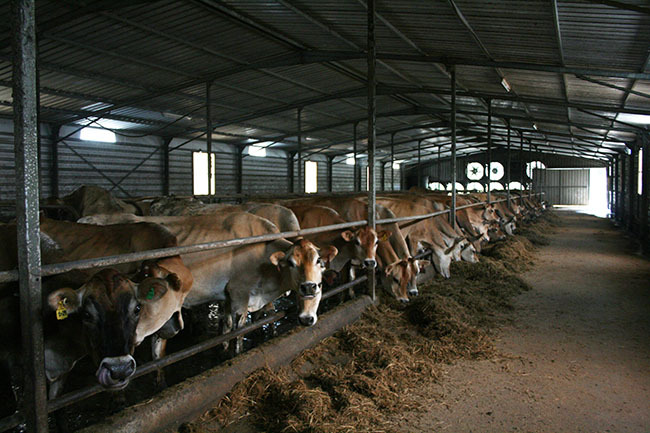 The cows are fed through the Total Mixed Ration (TMR) method whereby the feed contains a mixture of Congo grass, hay and a specially formulated supplement that is completely vegetarian and non-GMO. Bala assures me that the bovines are vaccinated regularly. 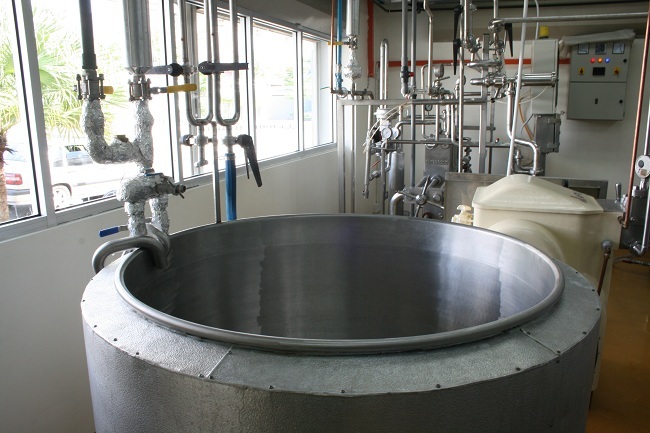 Milk is chilled immediately after the milking process and a cooling process is maintained throughout to ensure that there is no degradation to the quality. Besides that, the milk is also sent to the lab for testing. The contraption for milking cows at the farm. Photo: Lyn Ong. Although unpasteurized and non-homogenized milk remains Bright Cow’s focus, plans to product pasteurized milk are under way. Bright Cow farm at Bukit Rotan, Kuala Selangor. Photo: Lyn Ong. However, milk is definitely not the only dairy product that Bright Cow has set its sights on. 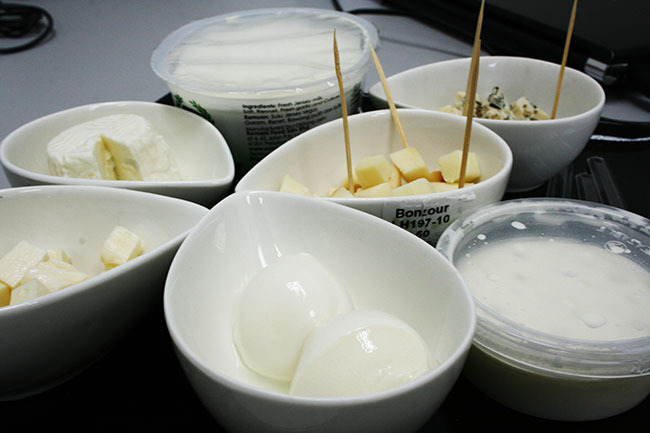 By partnering with Italian food company Romani Food Sdn Bhd, the milk produced by Bright Cow has become a range of cheeses. Malaysian cheese, you ask? Alberto Bassi, the director of Romani, explains that the venture was set up once they realised the potential of producing cheese locally. Malaysia imports a large amount of cheese each year but, until now, there have been no major local cheese manufacturers. A selection of cheeses from Romani. Photo: Lyn Ong. Romani’s current range of cheeses include mozarella, ricotta, paneer and even more uncommon varieties like scamorzella and crescenza. They have also expended to include yogurts and sour cream into their line of dairy produce. 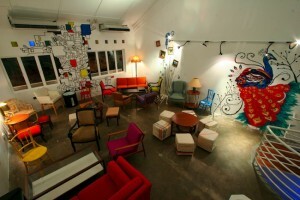 The cheese factory is located in Ara Damansara. Housed in a single storey lot, the place was actually more compact than I expected it to be. 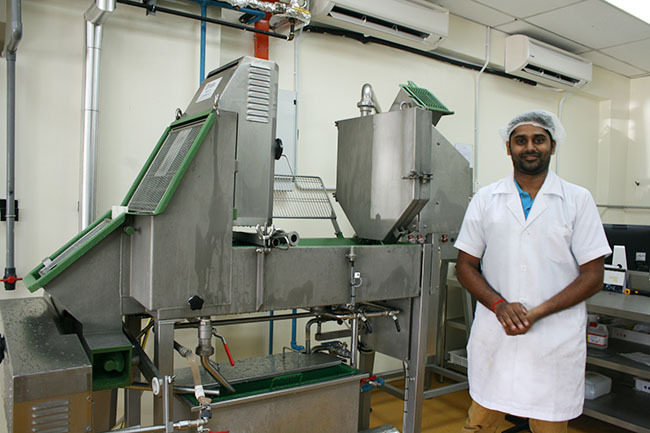 Spotlessly clean, the equipment was evenly spaced out, with some machines doubling up to produce different cheeses. There was also a packaging room and walk-in chillers for the storage of cheeses and yogurts. Cheese factory in Ara Damansara. Photo: Lyn Ong. Currently, Bright Cow and Romani’s products are being sold at several retail outlets in the Klang Valley, including certain branches of Jaya Grocer, BIG at Publika and Village Grocer. They also offer home delivery (at RM8 per litre for the milk) within the Klang Valley for convenience and freshness. A few cafes and restaurants use their products, such as the newly opened Sitka in Damansara Heights. 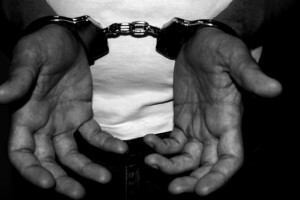 In attempting to keep their prices competitive, Alberto opines that “you have to start from the raw materials. Milk in Malaysia is about double the cost in Europe. So what we’re planning to do is enlarge the production of the milk base and to lower down the cost of the milk. Then of course you can lower down the cost of the cheese.” After Malaysia, Romani intends to target Singapore’s market. The owners of both Bright Cow and Romani share the same philosophy and passion for locally and organically sourced products and ingredients. As Bala explains, “we are a single farm, single breed. So we can control everything”. 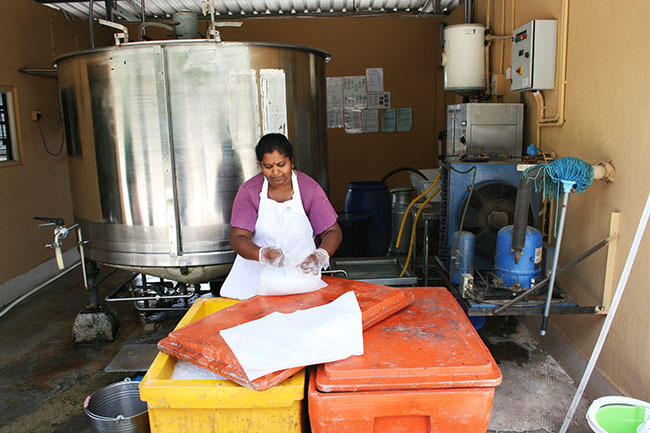 This ensures that quality is maintained throughout the production line. From an initial batch of a hundred cows, Bright Cow has already grown over the last couple of years. 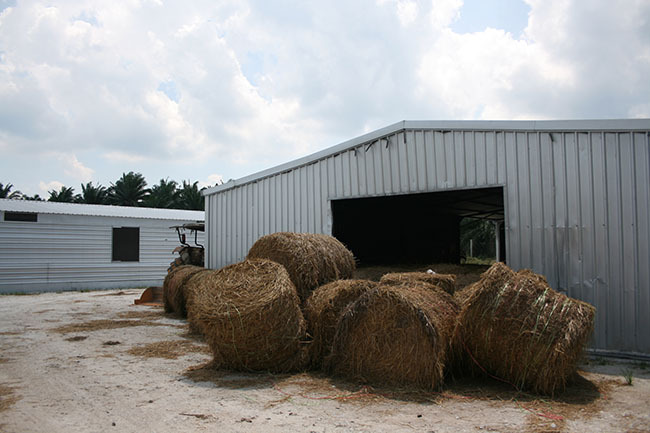 The farm now has the infrastructure to cater to about three hundred cows but they are waiting for operations to stabilize a bit more before continuing on with the expansion. “Our plan was always to get to about 500 cows within five years,” says Bala. 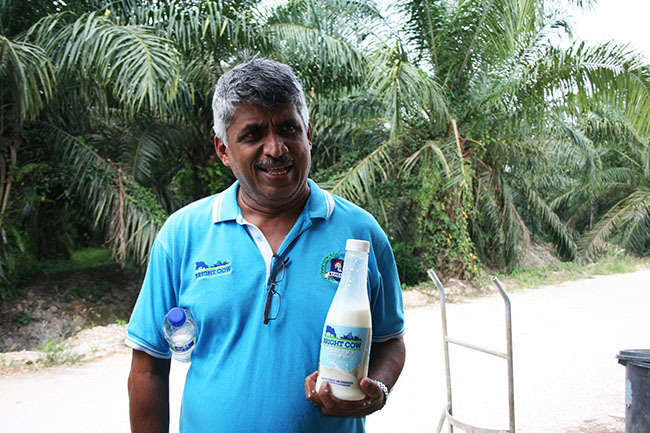 Although small in scale when compared to giants like Dutch Lady which has long dominated the local dairy industry, Bala intends to keep to their vision of producing premium fresh dairy produce in Malaysia, but with their own take. 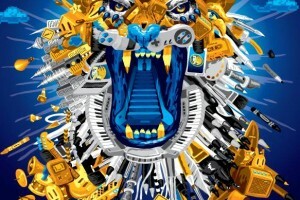 Win tickets to Tiger Translate!